The Alfred half-brogue is a timeless classic, finished with elegant toecap punched detailing and available in a wide G fit on a single leather sole. 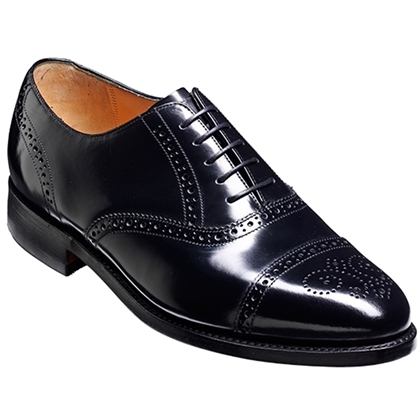 A stalwart of the Barker collection, the rich leather upper is perfectly designed for business and formal attire. This shoe is always a best seller, especially because the 'G' Wide Fitting is a very forgiving shape.